I'm super excited to share this new creation of mine with you. After having so much success with my Falling Leaves little books, I have decided to start a new series called SUCCESS AT THEIR OWN LEVEL. It's my approach to differentiated learning. 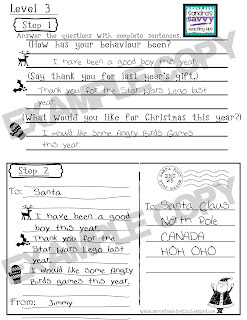 This is a letter to Santa activity which is good for children of many levels of development from K to 2. I've broken it up into 3 levels. 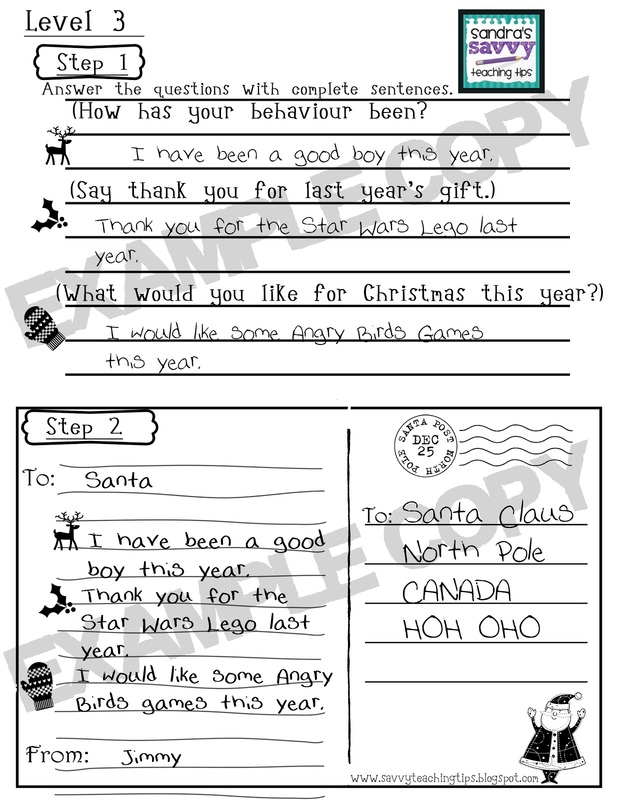 The beginning level is good for Kindergarten, Level 2 for grade one, and level 3 for grade 2. 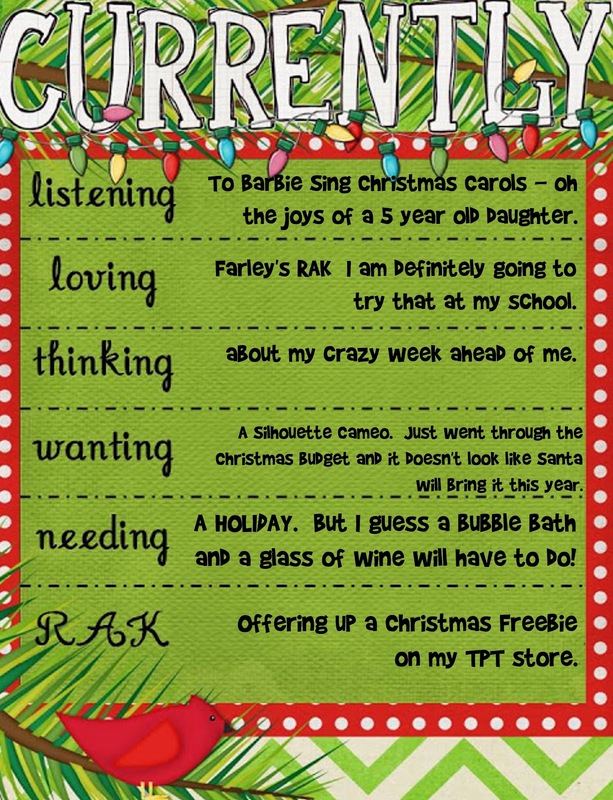 But of course we always have those struggling readers who need a bit of extra support and those more advanced readers who could use an extra challenge. 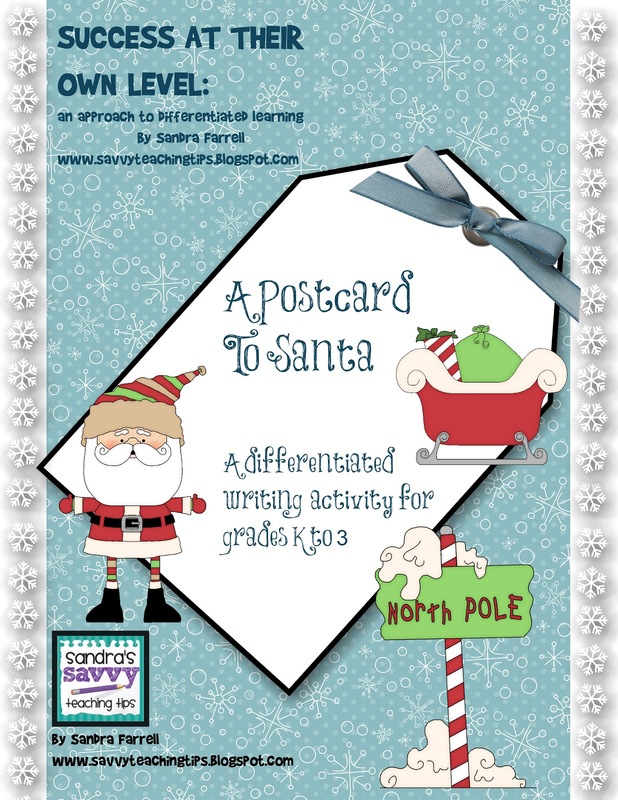 This program would allow a primary class to all write a post card to Santa at their own ability level. 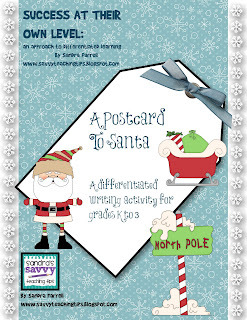 If you'd like your own copy, hop on over to my Teachers Pay Teachers store, or click on the link below to get your own copy. Remember that I love feedback and would love to hear from you. And after all of that, I have finally found the time to link up with Farley's Currently over at Oh Boy 4th grade. Click here to check out the other links. Don't get me started on how C-R-A-Z-Y this week will be for me. I'll fill you all in later. Hello, I found you on Oh' Boy Fourth Grade! I am your newest follower! Sandra! 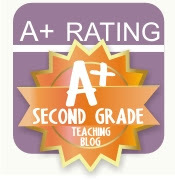 I found your blog via my blog and I was excited to see that someone else teachers + stamps and scrapbooks! Why can you not live closer! It's almost the holidays. Hang in there!